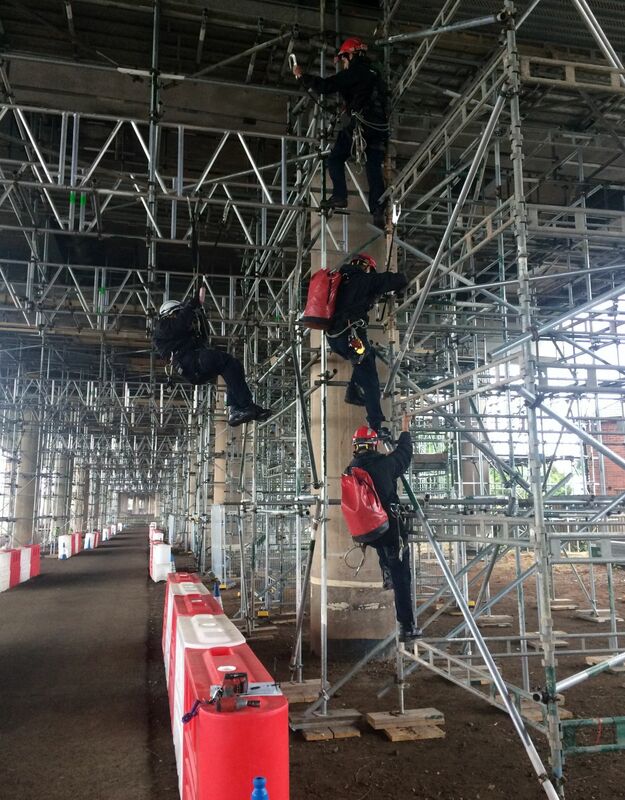 Lyndon Scaffolding in partnership with BMV, has been supporting West Midlands Fire Service Technical Rescue and Ambulance Service with their internal safety and rescue training on the M5 Oldbury Viaduct refurbishment works. BMV is a joint venture of BAM Nuttall, Morgan Sindall & Volkerfitzpatrick chosen by Highways England to carry out this vital and challenging project. The safety training event in June, involved a dozen fire & rescue squad members, trained paramedics, two rescue trucks, two ambulances and one fire tender. 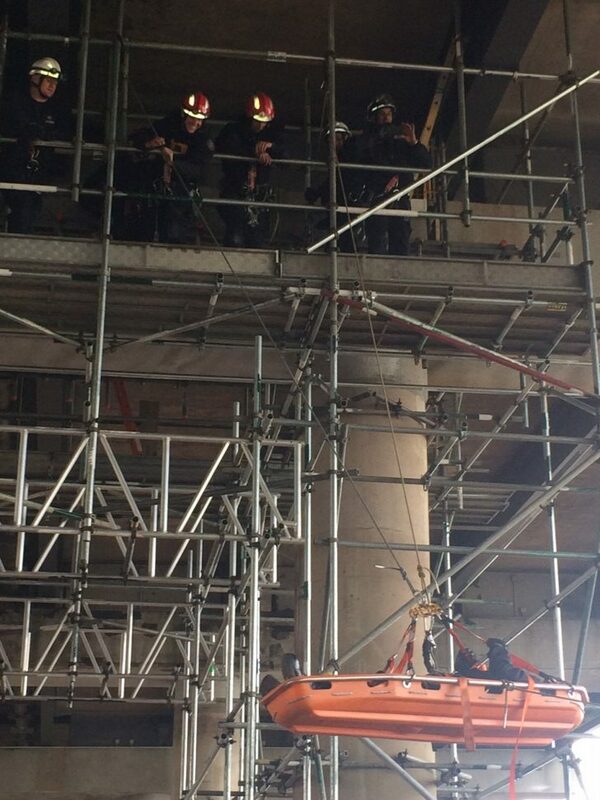 The aim was to practice a number of different rescue scenarios at height using the scaffold as a support. To assist, Lyndon Scaffolding SHEQ Executive, Steve Moore was on site with Matt Prendergast, Lyndon’s site supervisor. 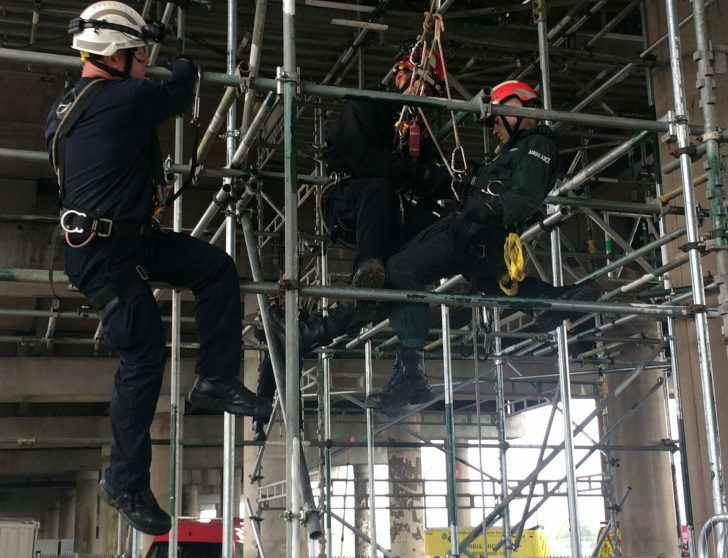 They were able to highlight to the firefighters and paramedics how and where to attach to a scaffold to ensure safe anchor points.